IntelliTect provides support to Union Gospel Mission and Anna Ogden Hall to join their work serving the men, women and children who are homeless in our community. UGM provides short and long term shelter, protection from domestic violence, access to food, clothing and other necessities as well as substance abuse counseling and job training. They also operate a long term shelter in Coeur d’Alene, Idaho for women and children to receive counseling, housing and other support programs. 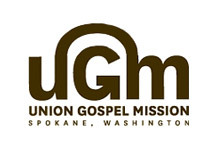 UGM offers job placement to people who complete training and counseling in their thrift stores and automotive repair and sales businesses.